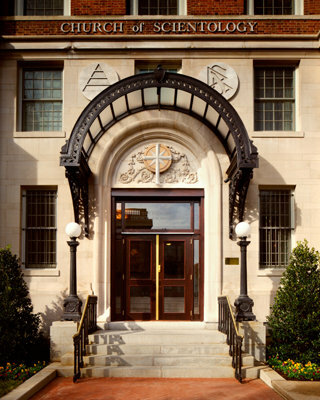 It is with great pride we welcome you to the Founding Church of Scientology of Washington, D.C. Originally established in 1955 by Scientology Founder L. Ron Hubbard, our Church and this city will forever hold an exceptional place in the history of our religion. 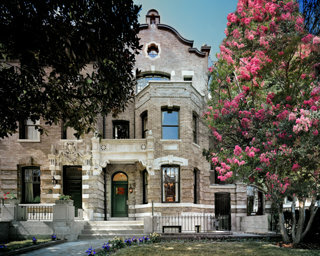 Today, just blocks from the historic home of the Founding Church, we serve Washington from our building on Embassy Row. Our Church realizes Mr. Hubbard’s vision that all Churches of Scientology become what he termed Ideal Organizations (Orgs). Ideal Orgs not only provide the ideal facilities for Scientologists on their ascent to higher states of spiritual awareness and freedom, but they also serve as a home for the entire community and a meeting ground of cooperative effort to uplift people of all denominations. In that regard, we are dedicated to helping every individual, institution and agency of America’s capital striving to create positive change in the world. Moreover, we look forward to working together to achieve our mutual dreams of a drug-free, crime-free and flourishing future for all. 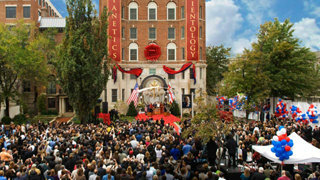 L. Ron Hubbard established the Founding Church on July 4, 1955 to centralize communications and coordinate a burgeoning network of groups and forming Churches on five continents. As the Founding Church’s first Executive Director, it was here Mr. Hubbard established organizational policy and developed spiritual technology that laid the foundations for the global Scientology movement.